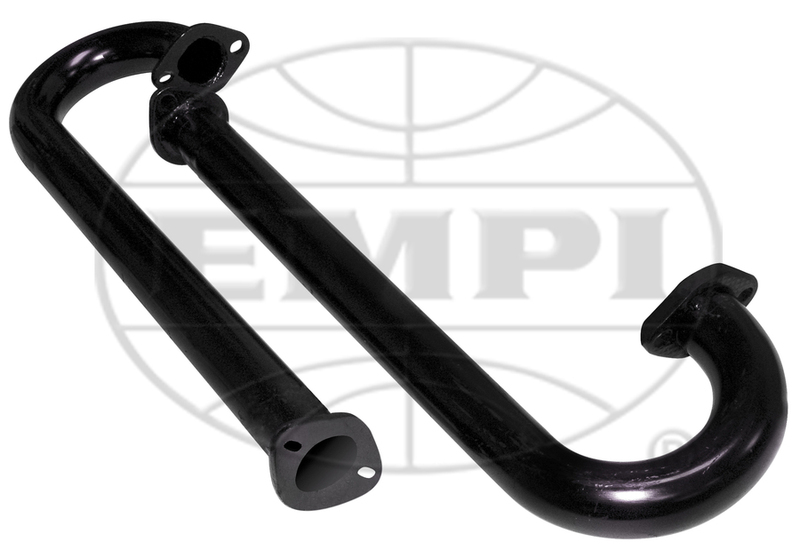 Empi advertises these as 1 5/8" pipes. 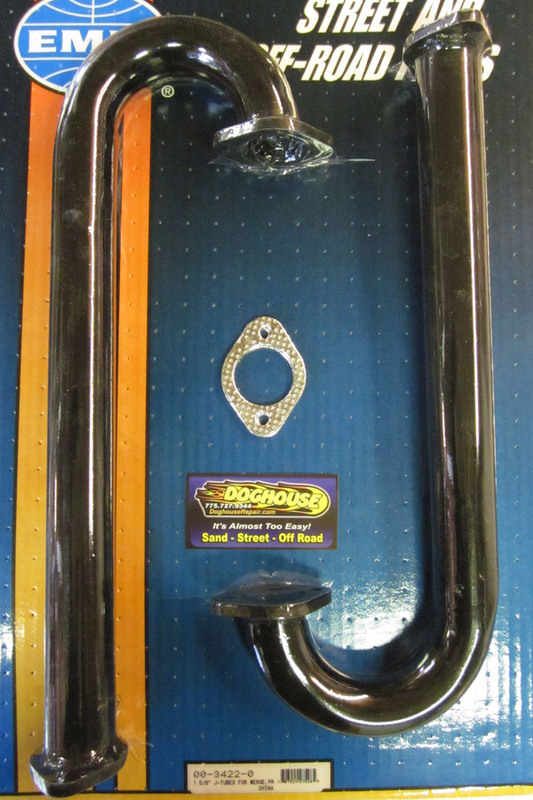 These are pre-flanged for use with painted merged header kit part# 7320. One pair of J tubes and 4 premium gaskets. Exhaust systems or their components will not be accepted for return or credit if there is evidence of having been installed or used.